Find Top-Class Comfort in Our Mercedes Sprinter Luxury Limo! Primo Transportation Provides Luxury Limo Bus Services in the Greater Bay Area! If you thought travelling in a stretch limo bus was only reserved for the elites, or politicians, think again! 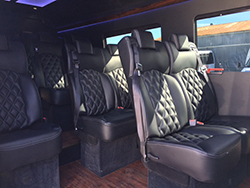 Our luxury Mercedes sprinter luxury limo is perfect for weddings, bachelor/bachelorette parties, prom nights, tours, sporting events, corporate events and just about anything else that comes to your mind. The Mercedes sprinter luxury party bus is one of the best in our fleet and can easily accommodate a group of friends or family. 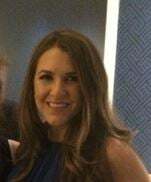 It offers top class transportation services in a comfortable, stylish and affordable way for anyone in the Greater Bay Area. The Mercedes sprinter luxury limo bus is equipped with high-end amenities and state-of-the-art features that redefines traveling, and is guaranteed to give you an unforgettable travel experience. Mercedes Sprinter — Luxury traveling like never before! The Mercedes sprinter party bus will steal the show wherever you go. It can accommodate up to 14 people comfortably, making it the perfect choice of transportation for a night on the town, or when you’re entertaining guests from out of country, and need a classy mode of transportation from the airport. 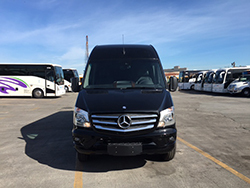 Our luxury Mercedes sprinter bus is the best option for those who like to travel in style. Regardless of your reasons for choosing us for your travel concerns, we guarantee that traveling in one of our Mercedes sprinter stretch limos is going to add a whole lot of fun and excitement to your trip! To find out more about our luxury limo bus service and custom packages please feel free to contact us today. Our customer service representatives are always on hand 24/7 to answer all of your questions and queries. Our business representative can also help you select the best package according to your specific requirements. Or you can easily make a booking online.